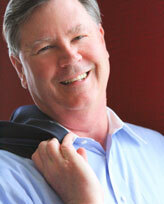 Paul L. Merritt is a founder and principal of NTrust Wealth Management. He began his career in the financial services industry in 1999 with Merrill Lynch following 21 years of service in the United States Army. In 2009, Paul, along with Stacy Long, opened NTrust upon the core belief of placing their clients’ interests ahead of all others. Paul has dedicated his professional life to helping individuals, business owners, and non-profit organizations navigate the complex world of investments, cash flow analysis, and long-term planning to bring structure and organization to their financial lives. Paul also specializes in working with business owners with the selection and implementation of highly competitive corporate retirement plans (401k plans). Recognizing that retirement plan fees, if left unchecked, can substantially degrade savings, Paul is driven to match the right plan with the right fee structure that meets the unique needs of each business. Once the right plan is in place, Paul is dedicated to bringing his broad financial experience to helping employees make the most of their retirement plan savings through relevant education and advice. Raised by parents who placed great emphasis on education, Paul believes that education is a life-long commitment. He began his early career by earning a BS degree in Finance from Virginia Tech. He has since been awarded a Masters in Business Administration from the University of Cincinnati with a concentration in Finance. After leaving the military, Paul has earned the Chartered Retirement Planning CounselorSM (CRPC) designation from the College of Financial Planning®, and the Accredited Investment Fiduciary® (AIF®) designation from Fiduciary 360. Additionally he has earned the designation of Certified 401(k) Professional C(k)P® through the Retirement Advisor UniversityTM in collaboration with the UCLA Anderson School of Executive Management. Paul is a 1978 Distinguished Military Graduate of Virginia Tech and has been inducted into Beta Gamma Sigma, the International Business Honor Society. Paul is active in the Virginia Beach/Norfolk communities. He serves on the Executive Committee of Virginia Beach Vision, the board of directors for the Virginia Beach Chamber of Commerce, and belongs to the Hampton Roads Estate Planning Council. He was a member of Rep. Scott Rigell’s Business Advisory Council and is a 2011 graduate of LEAD Hampton Roads. Paul is a long-term supporter of the local St. Jude charities and has served for years on the organizing committee of the St. Jude/Bruce Rader Golf Tournament. 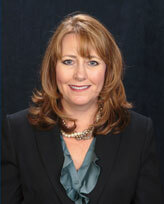 Stacy L. Long is a founder and principal of NTrust Wealth Management that was established in 2009. She began her career in the financial service industry in 1996. She earned her CERTIFIED FINANCIAL PLANNER™ Professional mark, a certification awarded by the CERTIFIED FINANCIAL PLANNER Board of Standards, Inc. Stacy earned the Accredited Investment Fiduciary® (or AIF®) professional designation from Fiduciary360. The AEP® designation was awarded by the National Association of Estate Planners & Councils to recognized estate planning professionals who meet special requirements of education, experience, knowledge, professional reputation, and character. She is a graduate of Old Dominion University where she earned her BA in Finance with a minor in Accounting and Sociology. Stacy specializes in financial planning strategies and creates long-term plans for clients seeing them through their retirement years. Her investment philosophy seeks to help clients grow and preserve their wealth, regardless of market conditions. Stacy takes pride in the fact that many of her clients have been with her since the beginning of her career and remain clients today-a testament to the lifetime partnership she has created with them. Stacy is an Investment Adviser Representative with Commonwealth Financial Network. Some of her accomplishments includes, graduate of Hampton Roads Chamber of Commerce LEAD Hampton Roads, awarded Top Forty Under 40 by Inside Business — The Hampton Roads Business Journal* for both her professional and non-profit accomplishments. Stacy has also published articles in Inside Business-The Hampton Roads Journal. In addition, Stacy has been a speaker to many groups on various Financial Planning topics. Among her local charity efforts, Stacy serves on the Board of The Great Bridge Battlefield and Waterways History Foundation, The Board of the Hampton Roads Estate Planning Council and the Planned Giving Committee for St. Mary’s Home for Disabled Children. Stacy is a member of the Junior League of Norfolk-Virginia Beach, Inc., Hampton Roads Chamber of Commerce, Hampton Roads Gift Planning Council, Central Business District Association and Southeastern Elementary PTA. Stacy currently resides in the Chesapeake-Hickory area with her husband Chris and two children, Michael and Austin. 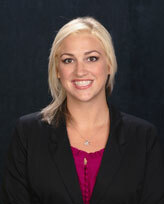 Sarah Keene is the director of operations at NTrust Wealth Management. She has offered administrative and client support in all aspects of our practice since 2013. She handles client needs with warmth and professionalism. Sarah oversees the day-to-day operations of the firm, including proper processing of account paperwork, ensuring compliance with all firm rules and regulations and assisting clients with service requests. In her spare time, Sarah enjoys being outdoors, spending time with friends and family, and keeping up with her son, Cole, and her daughter, Heather Rose.